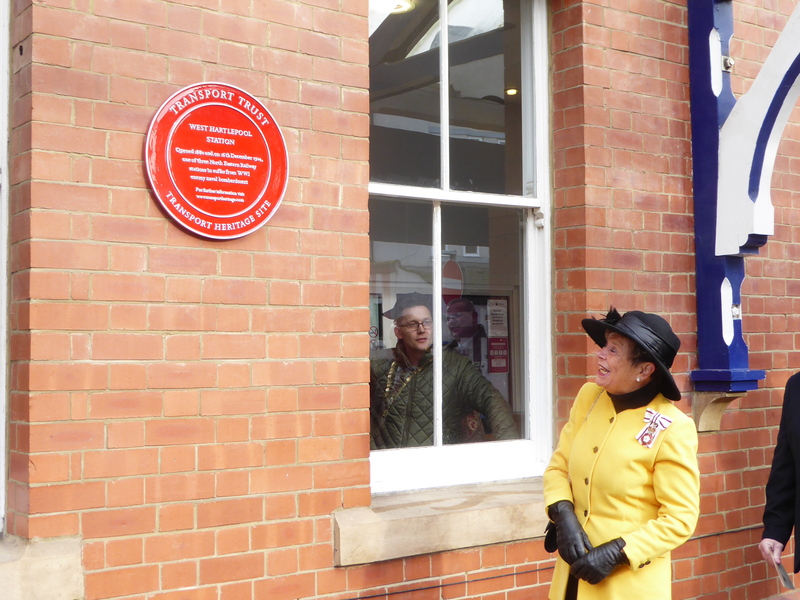 On 6th FebruaryLord Lieutenant Mrs. Sue Snowdon unveiled two Transport Trust red wheel plaques on Hartlepool station. 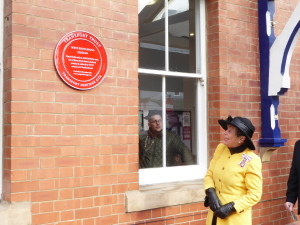 These commemorate two historic events as follows. West Hartlepool railway station is the only railway station in Britain to have suffered a direct hit from naval shell attack during wartime. This occurred on 16th December 1914 during the Bombardment of the Hartlepools by battlecruisers of the Imperial German Navy.. During a frantic 40 minutes, more than 1,250 high explosive shells rained down on the Hartlepools killing at least 114 civilians, 9 soldiers and 7 sailors, and wounding over 500 people. More than 100 years later, the shell damage caused to the station that day is still visible. To accompany these there are two interpretation boards next to the Tile Map designed by the Friends of Hartlepool Station and Hartlepool Museums.